Fringe is something that will never go out of style! 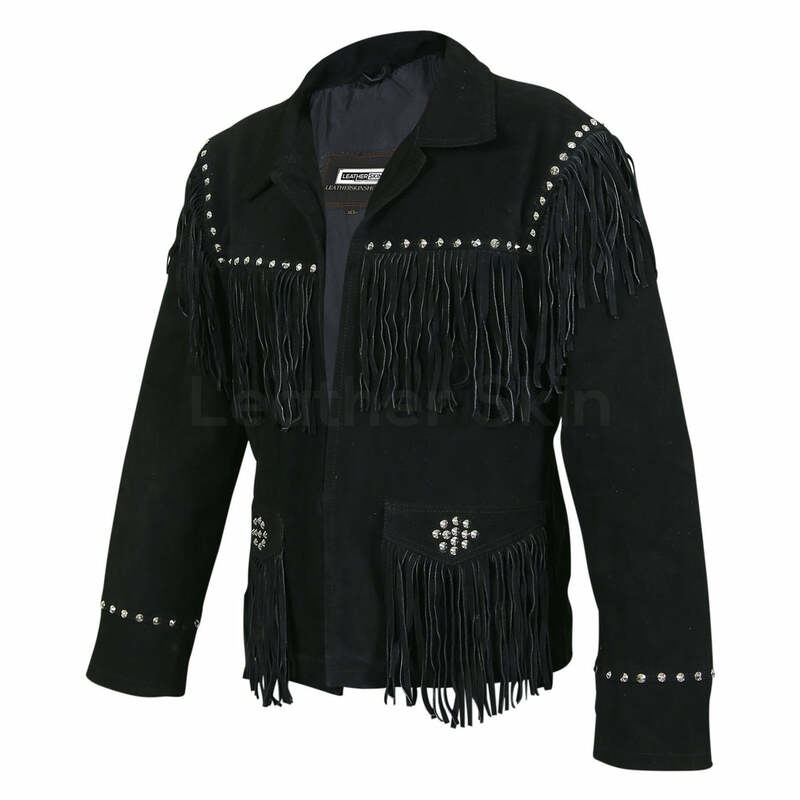 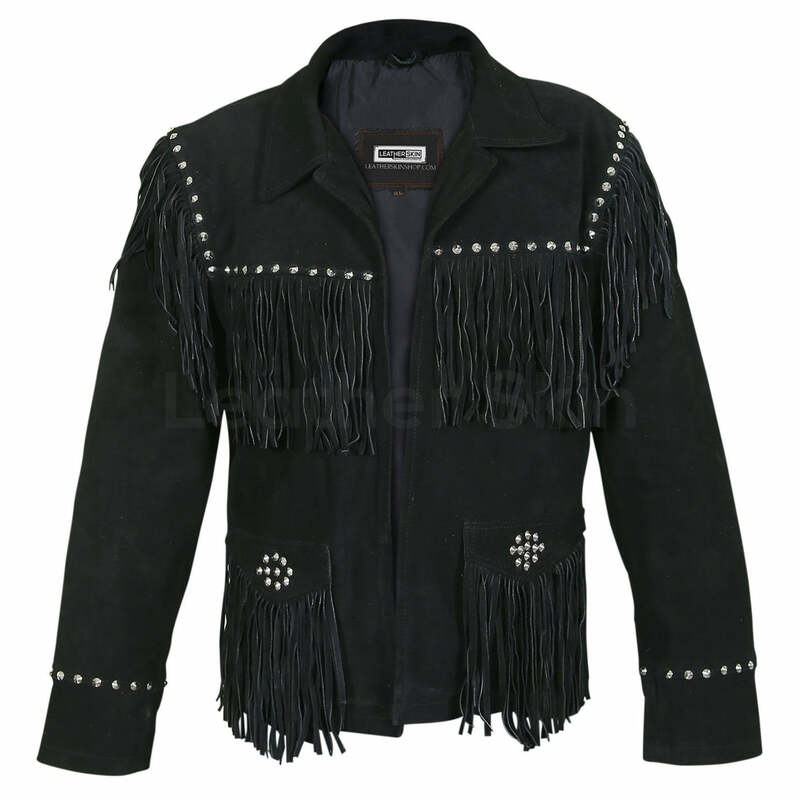 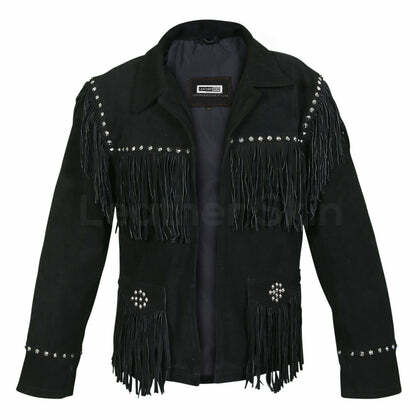 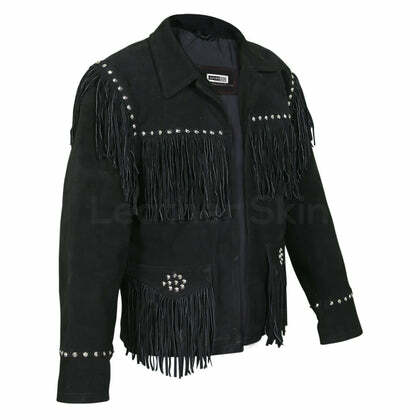 With spike studs for added oomph, this LSS leather jacket will bring out your inner cowboy. 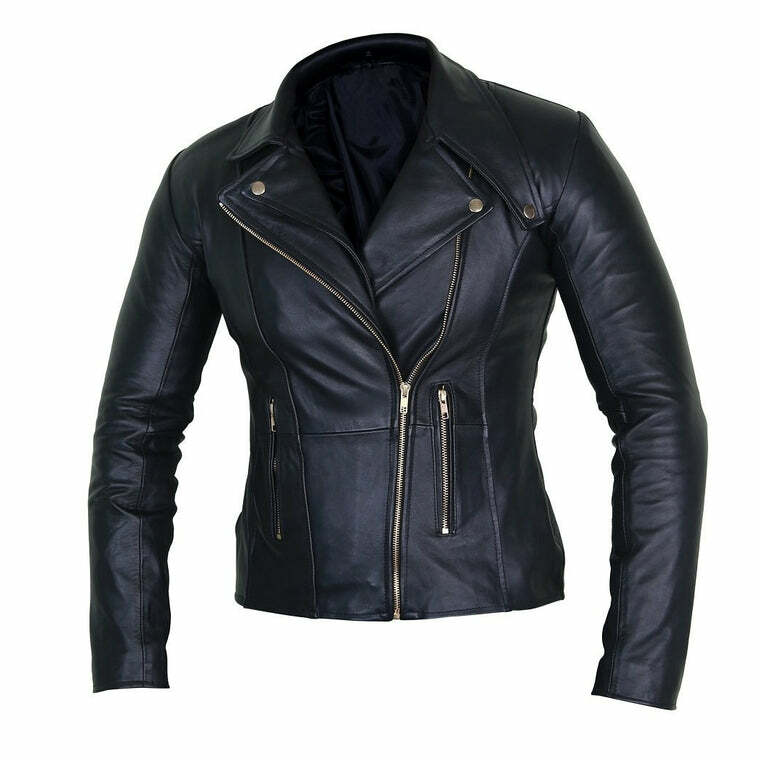 A classic black, it can go with every piece of clothing you own, and you never have to worry about what matches with what. 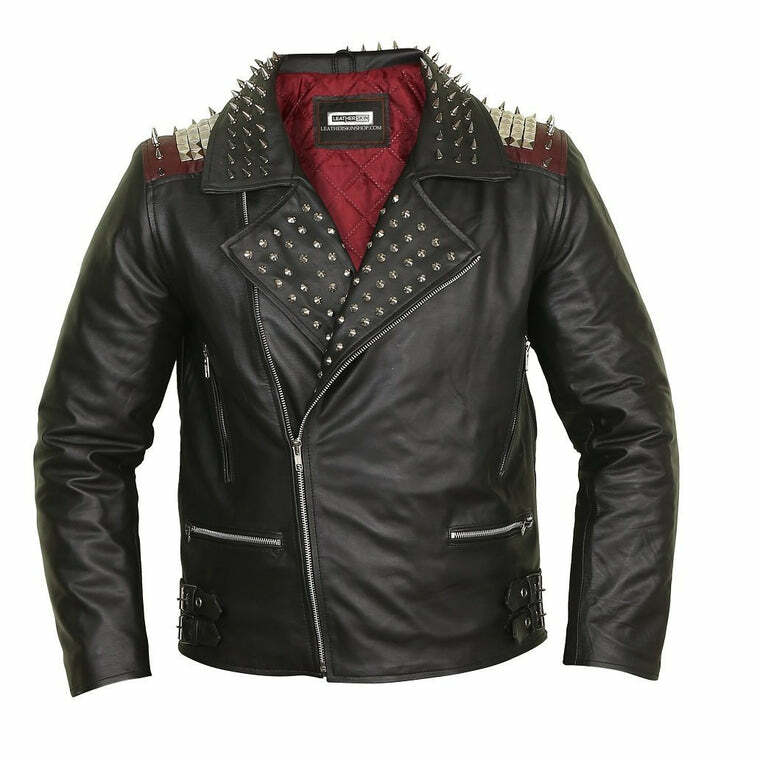 Give yourself the chance to wear something different – the exclusive and unique suede texture is one of the hottest trends of the upcoming years. 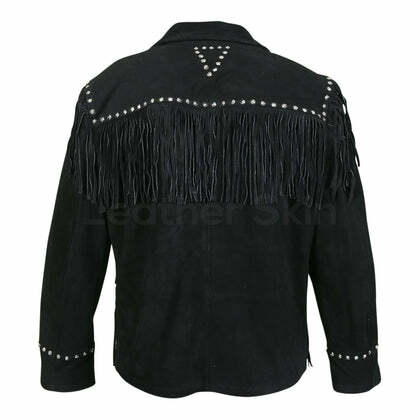 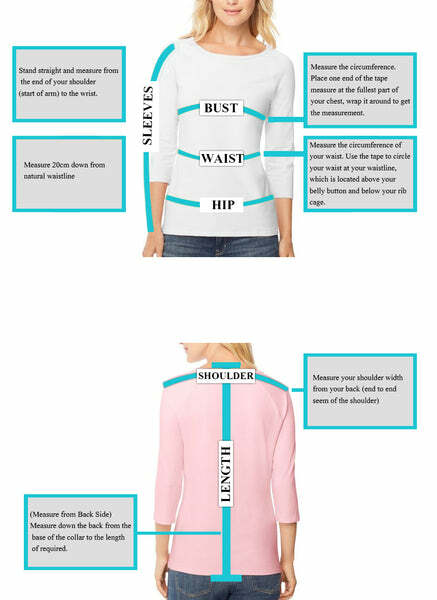 Choose a jacket like this that lets your personality shine, and you will stand out from the crowd.